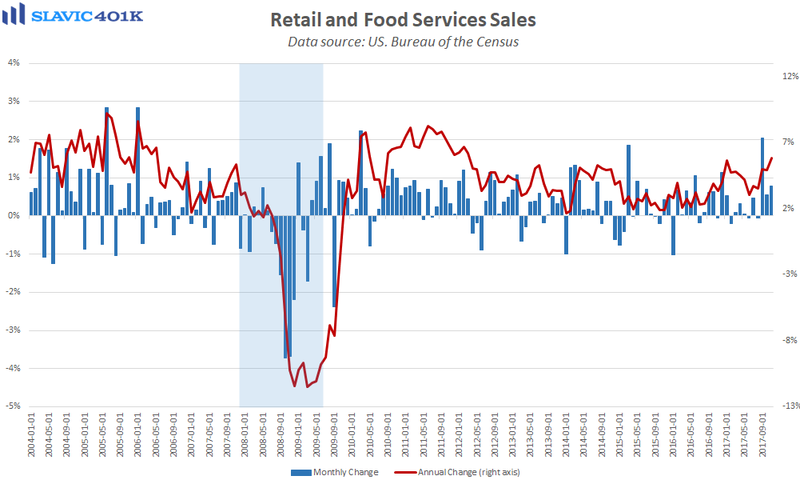 A new report from the U.S. Census Bureau showed that advance estimates of retail and food services sales in November totaled $492.7 billion. That was a 0.8 percent increase from October’s upward-revised print and significantly better than anticipated. The strong headline gain helped pull the year-over-year pace of growth to 5.8 percent, the highest reading since March 2012. 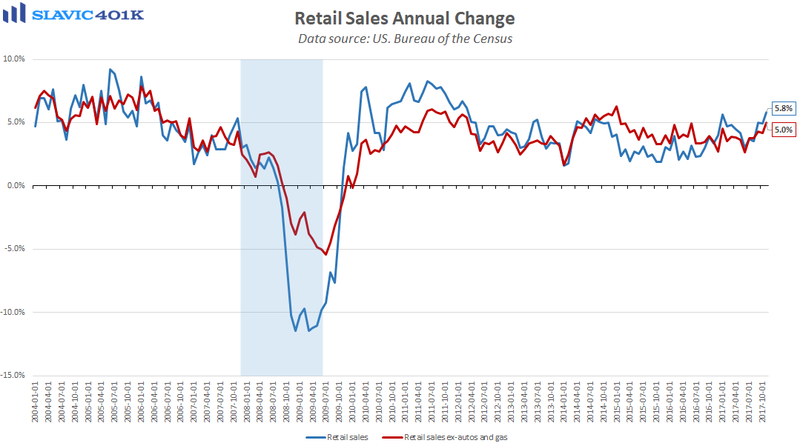 Core retail sales, which exclude the volatile automobiles and gasoline components, also rose by 0.8 percent in November. That was double the increase economists had expected and helped by large gains at restaurants, furniture outlets, and electronics and appliances stores. However, sales at non-store merchants (Amazon) jumped last month, highlighting how a growing number of Americans are doing their holiday shopping online. Regardless, the broad retail strength is encouraging and bodes well for fourth-quarter U.S. gross domestic product (GDP) growth. Other recent economic reports, though, suggest consumers are using credit and tapping into their savings to boost spending. Such behavior reflects elevated economic confidence but is not sustainable without a more substantial pick up in wage growth.